With so many exciting events going on, there's so much to do! In order to help you play to your heart's content, the cost of refilling your AP has been halved to 50 Jewels for the duration of the campaign! We still have more events and quests coming up for February, so stay tuned! 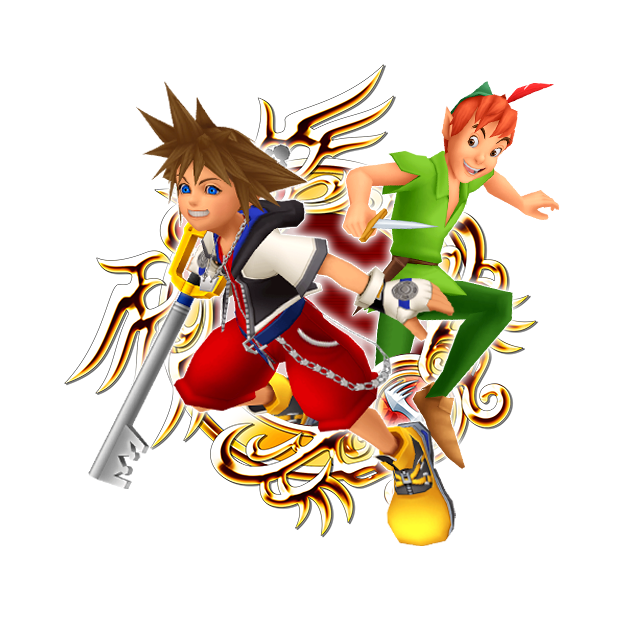 ★ The Olympus Coliseum is holding the Keyblade Challenge! Complete objectives to earn Event Coins and other rewards! The Keyblade Challenge consists of 15 event quests! Can you take on the challenges of the Olympus Coliseum? 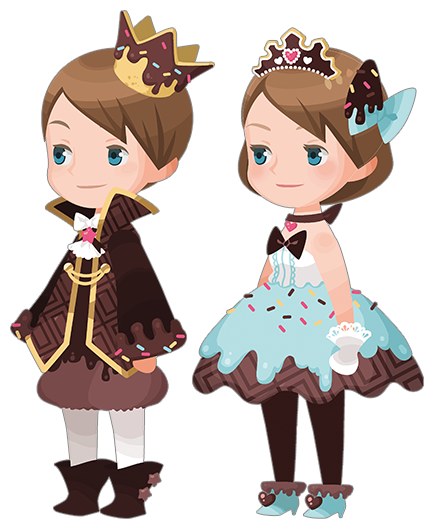 Complete the objectives to earn Event Coins and other rewards, including Magic Broom and Magic Mirror Medals! The Event Coins obtained from this event can be used to unlock even more rewards from the current Event Boards! Check it out! ★ Valentine's Day-themed avatar boards are now available! 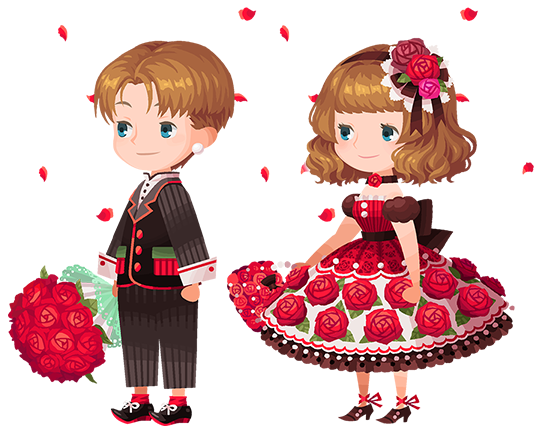 The Valentine Rose and Valentine Rouge avatar boards are available for 2500 Jewels apiece! The Sweet Baron and Sweet Baroness avatar boards are also available for 2500 Jewels apiece and include the new Defense Boost V Max skill, which cuts enemy damage by 9/10 and has a 100% trigger rate at LV 20! 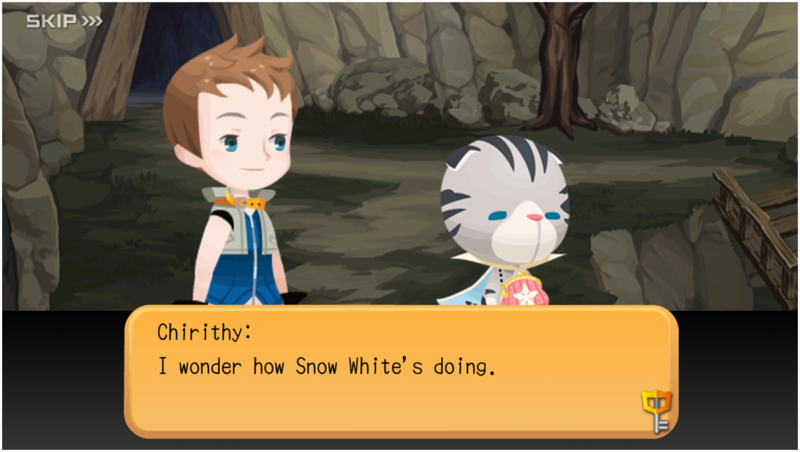 You know, after finishing Kingdom Hearts III, this particular batch of story quests seems particularly pathetic. I was half-expecting (foolishly, I know) that they might drop all the up-to-date Japanese content as a little surprise to commemorate the release of KHIII. Especially considering how much of KHIII's story and surprises revolve around the most current developments in Union X that international players have so far been denied. I realize now that that was wishful thinking. They seem to have decided to keep us months behind, and all we get this month is the 10 quests of worse-than-pointless filler nonsense. Well, I guess that's it for me. I've stayed with this game for almost four years now, but enough's enough. There is absolutely no reason for them to keep their American audience stranded months and months behind their Japanese audience, especially when they seem to have no difficulty in translating events and banners when it's financially lucrative and convenient for them. If I hadn't known better and kept track of the goings-on on the Japanese port, there is so much I would have been lost about in KHIII, and I pity any loyal players who have been bereft of that crucial knowledge because of these inane and duplicitous corporate decisions. I think I'll sign off and switch to Everglow's online playthroughs, because this has gotten insulting, and I won't have any more of it. For those of you who want to continue on with this game directly, I wish you the best. For those of you who have kept up the vain hope that SENA would start to treat us better, I urge you to follow my lead and abandon ship. I don't want this game to go under, because unfortunately, Nomura has deigned to place increasingly greater importance on its story, but hopefully if the international audience begins to shrink a little more, the higher-ups may just wise up and start treating its customers with the respect that they, as loyal, patient, and paying fans, deserve. It sounds like they might be trying to catch up? Notice says more quests will be added in like two weeks instead of in a month. They might be trying to get it a bit closer to the Japanese version. Well, that's good if that's what they're saying. But it's still too slow. There's no reason they can't just translate the entire batch of Japanese episodes and get them to us ASAP. Fan translators do it in like an hour, and there's literally nothing else they would need to do. These dates they set for releasing them are completely arbitrary, and to pretend like it's generous of them to be releasing batches twice as fast instead of all at once as they should have from the beginning is silly. We in the West are just as big, if not bigger, of an audience for this series than Japan, and we deserve to be treated as such, and that goes both for this game, and for all the other games where Japan has gotten exclusive Final Mixes and early releases. Only starting to play catch-up after nearly four years of leaving us in the dirt behind Japan is just not good enough. SENA treats its players like living wallets, and the worst thing is that their product isn't even good enough to justify the price that people pay to get ahead in it. The story is good to know for the main series, but on its own it has little meritâ€”endless filler compounded with a main story that while large in import, is small in scale. If it weren't for the connection to the main series, I highly doubt people would even pay it the time of day. And to then act, as SENA does, like that kind of a product is worthy of gouging endless microtransactions out of its base that have shown nothing but loyalty and patience for the series, is nothing short of repulsive. Now, Nomura of course is partly to blame for this. He made it so that we had to go looking at this mobile game to find out crucial information for the main games, all the while talking out of both sides of his mouth about the degree of importance it would actually hold (which, as it turned out, was a lot). I would hope that in the future Nomura learns to streamline his ideas into more cohesive platforms instead of constantly branching out to different consoles to try and deliver the next bits of his story. But I think we can all agree that might be too much to expect of him. But you know what, I've come to get used to that. In any case, Nomura's only major sin is letting his creativity run amok and without any railguards, for better or worse. It's the money-grubbing corporate suits at SENA (and to a lesser but still significant extent at SE Japan) that I find irredeemable. They've been preying upon the fanbase's loyalty for profit for four years, and we've gone along with it because we were promised answers to long-held questions. And we've got some of them, I won't deny it. But that doesn't excuse the behavior of these suits who spend all of their energy not trying to find ways to actually improve and evolve the game for our experience, but trying to find new ways to sucker a quick buck out of us. It's rotten. And the biggest insultâ€”that they refuse to keep us on an even footing with Japan's story content even though it wouldn't cost them a cent to do soâ€”is the thing I find most difficult to forgive. So, good for them for being only slightly quicker about what they should have already done in full from the get-go. It's just not enough for me. And it shouldn't be enough for any international player who has stuck with this series through both thick and thin, because it's for our sake that this series has thrived and grown into what it is. Please yes, I would actually keep up with the story missions again. No point to much when I just read them on Youtube months ahead of time lol.